Hi Stefanie! Thank you for trying this recipe along with Zaru Soba. 🙂 I’m happy to hear you enjoy it. I haven’t made this for a while and I will be making this soon too. I’d like to share your link on my fan page – let me know if you want me to take it down. 🙂 Thanks for the mention and liking back to me! Have a great Sunday! Too funny, I love that you don’t like veggies so you just don’t bother making them:) This chicken looks so pretty, that is a lovely plated glazed chicken dish! Looks delicious! Cannot wait to try this! This chicken looks so delicious with that glaze. Happy Valentine’s Day! I love garlic and miso chicken! It’s one of Nami’s recipe I have been making for some time too and never get tired of it. 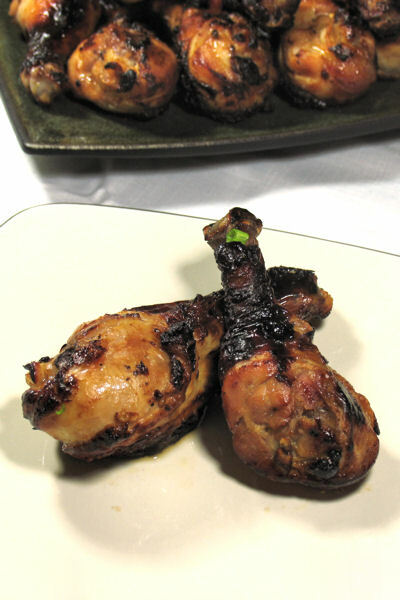 Your drumsticks look fantastic! This looks like a great recipe, Stefanie. I’ve been trying to introduce more chicken into my diet and have been using my blogging buddies’ recipes as a source of inspiration. This recipe has earned a spot be on the menu. Can’t wait to try it! Yum! 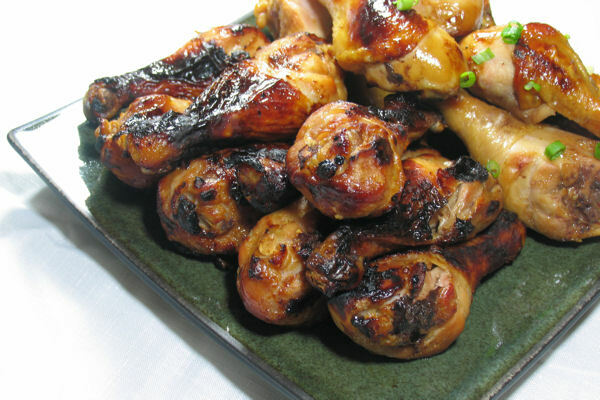 Those drumsticks just look like they’re dripping with deliciousness. Yum, that chicken looks amazing. Love that it looks like it has so much amazing flavor with just a few ingredients. I’m sure this tastes so good! I’ve had chicken with soy and miso before and it’s so yummy! I’ll try to remember to make this next time we have some thighs. We love dark meat! I LOVE chicken! How did you know?